A few years ago, my life was a mess. So was my home, my desktop, and my state of mind. Later I learned, by trial and error, a few key habits that helped me get back on track. Am I perfect? Of course not, and I don’t plan to be – sometimes I feel lazy and let things fall into chaos, but the few strategies I’ve come up with are easy enough that I always know how to organize my life back to where it was. So what’s the secret? In fact, most of it’s common sense! With only a few simple habits you can develop over time, your home can easily be reorganized, leading to less stress and more efficiency when it comes to finding what you need. But these tricks can be applied to your work, your kids, your hobbies, and the rest of your life. 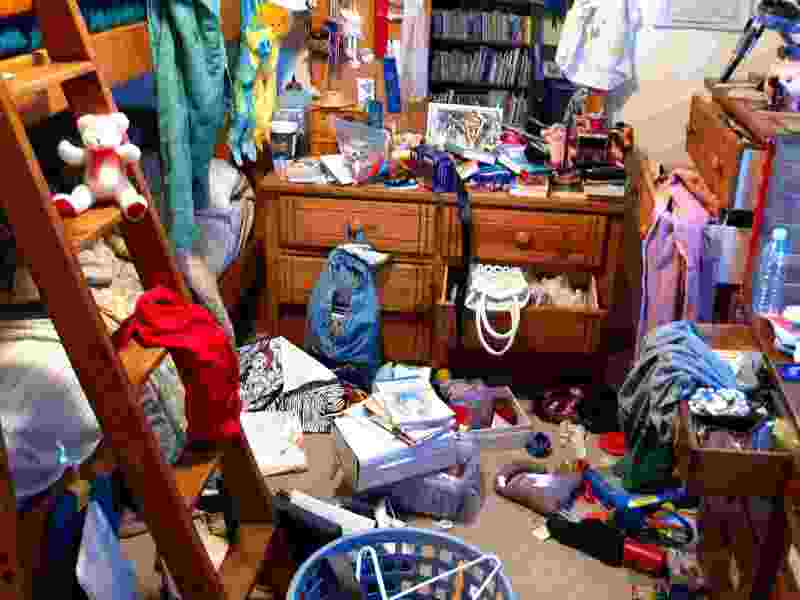 The mistake most people make when trying to collect things, tasks, or projects is that they have a big mess of things to organize and it can be very complicated. 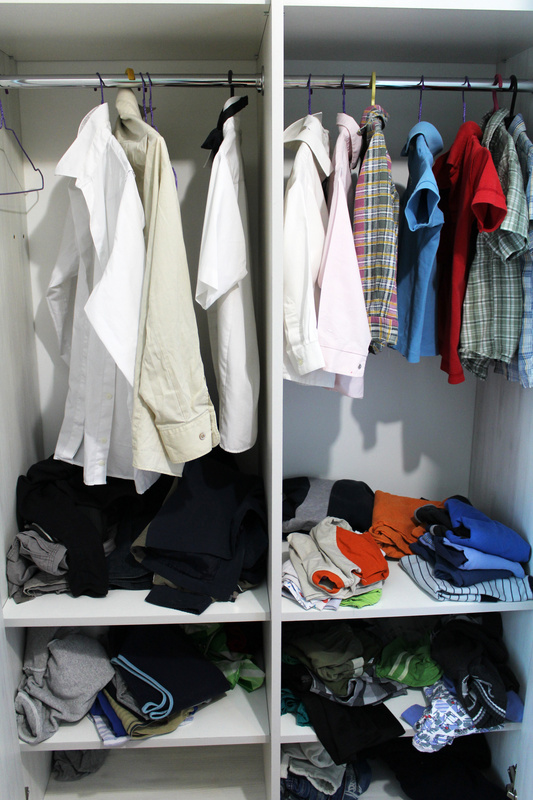 If you have a wardrobe packed with clothes, for example, you can go and buy a organizers but in the end you still have a crowded wardrobe. This also applies to time management: you can organize your schedule but still be extremely busy. The solution is simple: reduce, eliminate, and simplify. If you take a wardrobe full of 100 things and throw everything out save for 10 things you use regularly and want to keep, you no longer need an organizer. If you have 20 things to do today and can reduce them down to three major tasks, suddenly you no longer need a schedule. Our minds are wonderful, but in this day and age trying to keep track of everything and relying solely on our memories isn’t a reality. We forget things when we need to remember them, or continually remember things that serve no purpose. Instead of using our minds as a reservoir of things, it is a much more reliable method to carry a notebook or use sticky notes to help remind us of important things. For instance, I always carry a small pocket book wherever I go and write things down immediately. Aftrwards I can look back on what I wrote and apply it to a calendar so I don’t forget things. In fact, it’s better to have two boxes – one for home and one for work. However many people have more than that. At home and in the workplace documents can end up in several different places, phone messages end up scattered on our des, and important notes may get lost. Instead, trying simplifying the process by having a single mailbox where all the work gets placed. Then, once a day (or once a week in the house if you prefer), go through the mailbox and deal with each document according to priority. Take an item in the box and decide what to do with it, right there and then: throw it out, handle it yourself, or delegate it to someone else. Do the same with the next item until your inbox is empty – once this becomes a habit, you’ll never have to worry about leaving decisions for later. Related to the above advice, you have a place for each item in your life. For example, is there somewhere you always place your keys? You should identify a special place for them (by the door is the best place) so that you learn to always leave them there, and that way you’ll never lose them again. Where are your pens? What about your magazines? In my home I teach my children to allocate a place for every toy or other item in their rooms. As adults, this same principle applies, and once you get used to putting something in the same place over and over, it becomes like muscle memory. Additionally, you can also use other strategies to help instill his ‘habitual’ tendency, such as using labels. Most people have the habit of putting something on the table or desk with the intention of “taking care of it later”. Well, that’s how things get dirty and disorganized. Instead, take the initiative and store it immediately in its place. This habit is effective because it is much easier to clean things while working as you go or while you’re moving through your day, rather than letting things pile up. Ultimately it comes down to not being lazy – if you see something out of place, take care of it. If you already have everything neat and organized, you can sit back and take pride in your efforts. Being organized and having a work environment or a simplified home is tremendously satisfying, but the problem is that after awhile things tend to become disorganized again. Things tend to gravitate toward chaos and the solution lies in developing systems to maintain order. For example, the aforementioned processing mailbox is a system that enforces organization: having specific procedures to deal with various tasks, and doing this often enough that it becomes routine and second-nature.